We also supply replacement parts and changeable nozzles. 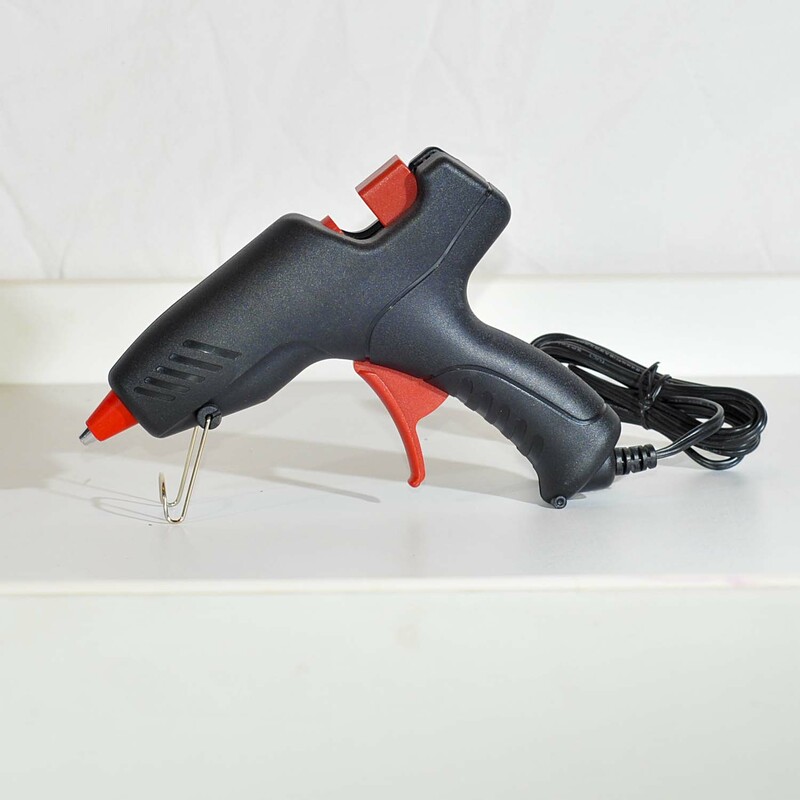 An inexpensive glue gun for craft and hobby applications. 40 0.05 4,10 350° ? 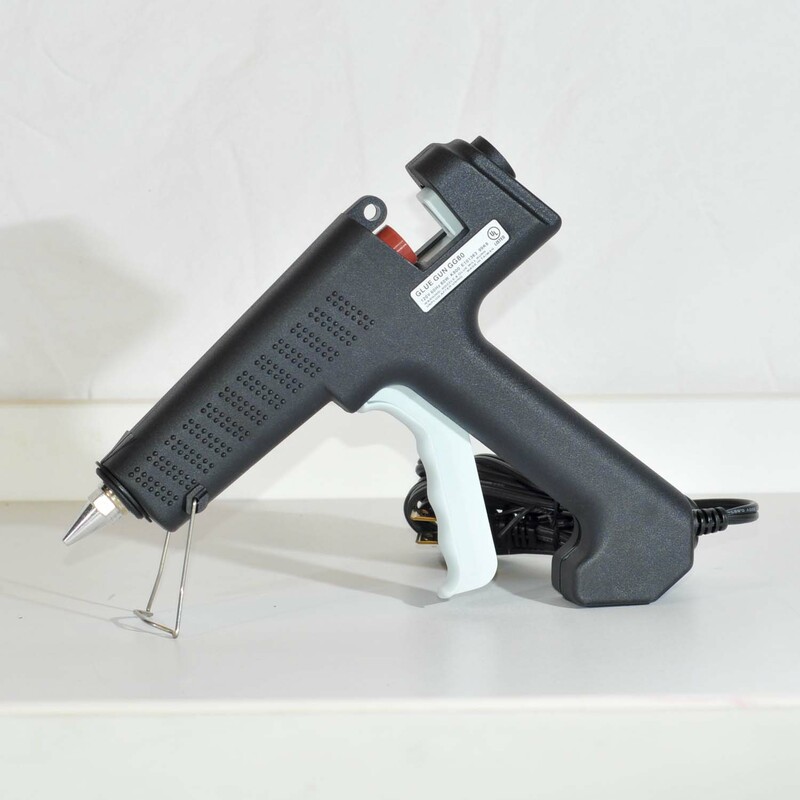 An inexpensive glue gun for light industrial applications. Lightweight. Ergonomic long trigger for easy grip. Ideal for all professional applications. A low temperature version. Lightweight. Ergonomic long trigger for easy grip. Ideal for all professional applications. 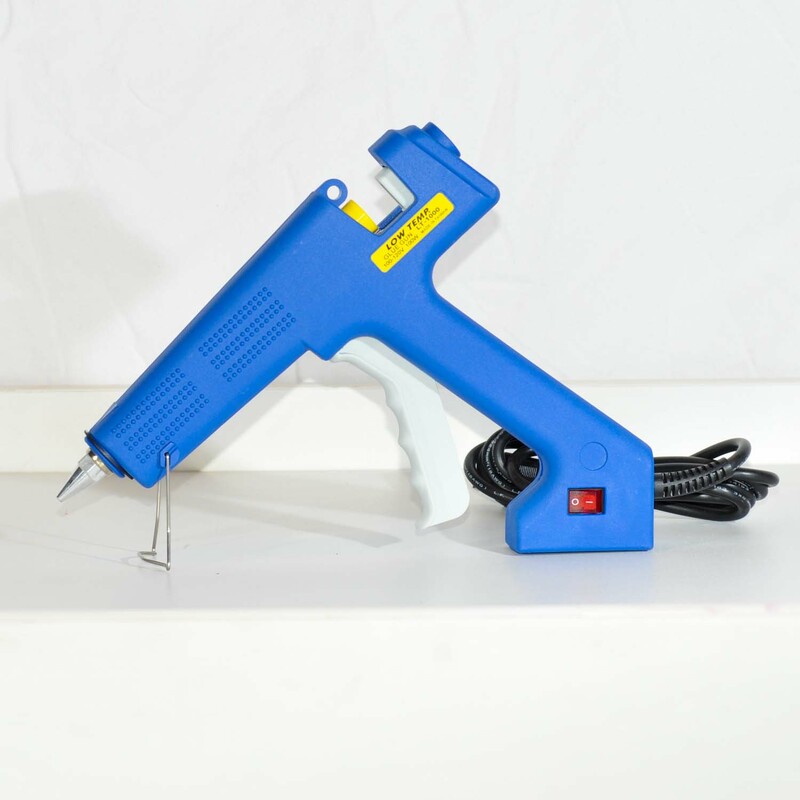 Heavy Duty 1/2" Glue Gun, High Temperature, Ergonomic Design. Excellent for industrial applications that require high delivery rates. Heavy Duty. Adjustable Temperature 248-446. Excellent for industrial applications that require high delivery rates. 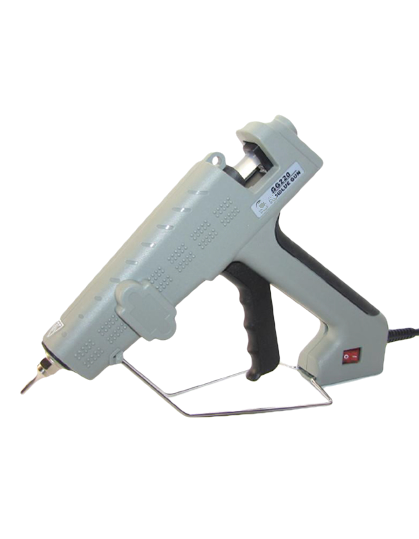 The following glue guns use 5⁄8 inch diameter glue sticks. 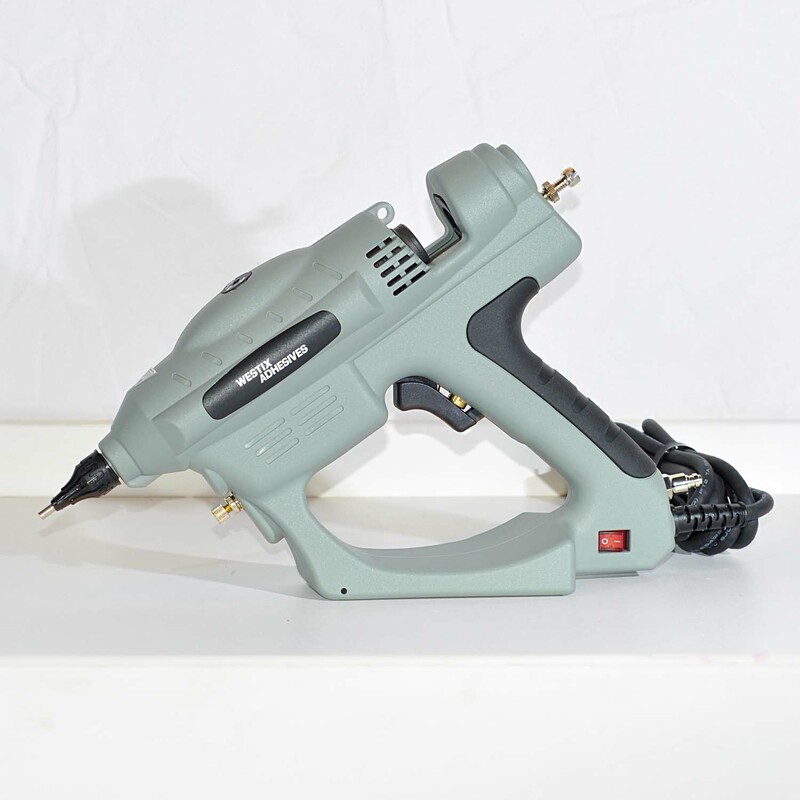 Manual feed 5/8" glue gun. 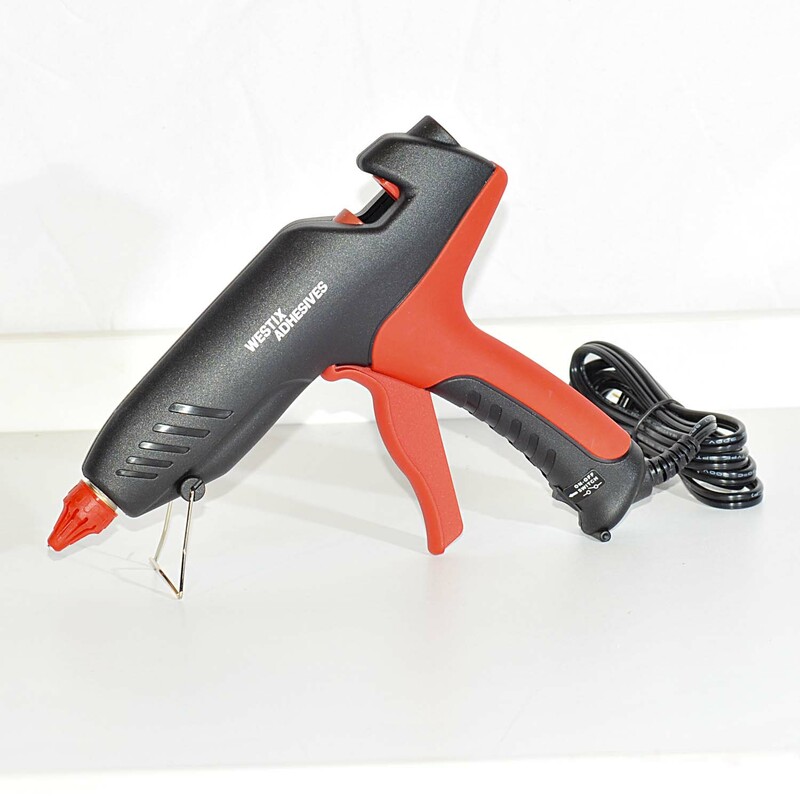 Adjustable Temperature for Low and High Temperature Adhesive. Ergonomic palm trigger, stroke adjustment screw, removable stand. High volume for industrial applications. 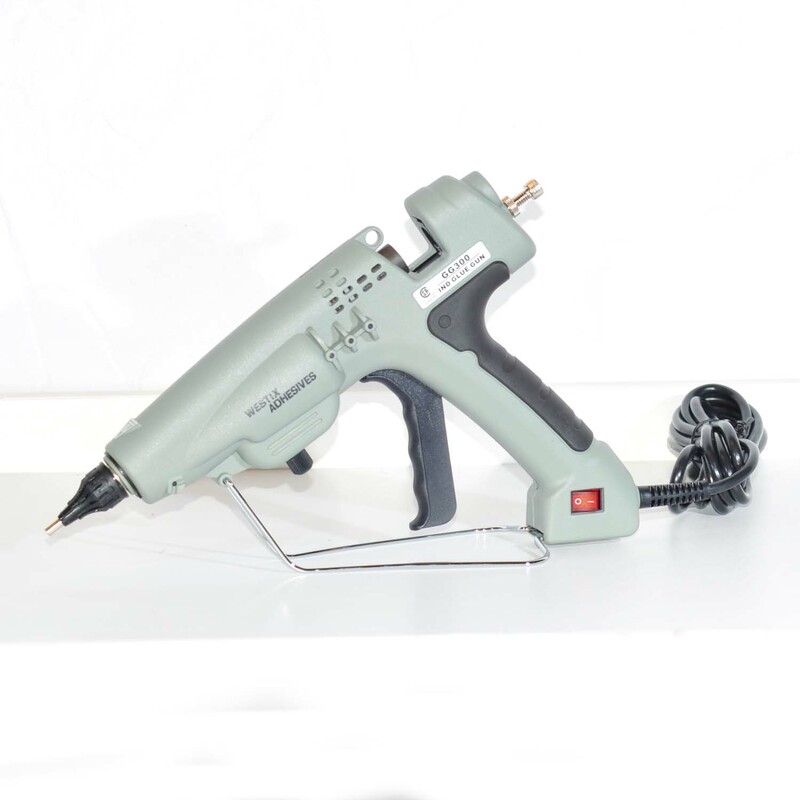 Pneumatic feed 5/8" glue gun. Adjustable Temperature for Low and High Temperature Adhesive. High volume for industrial applications. Air Supply requires 40-100 psi. *Operating rates are approximate. 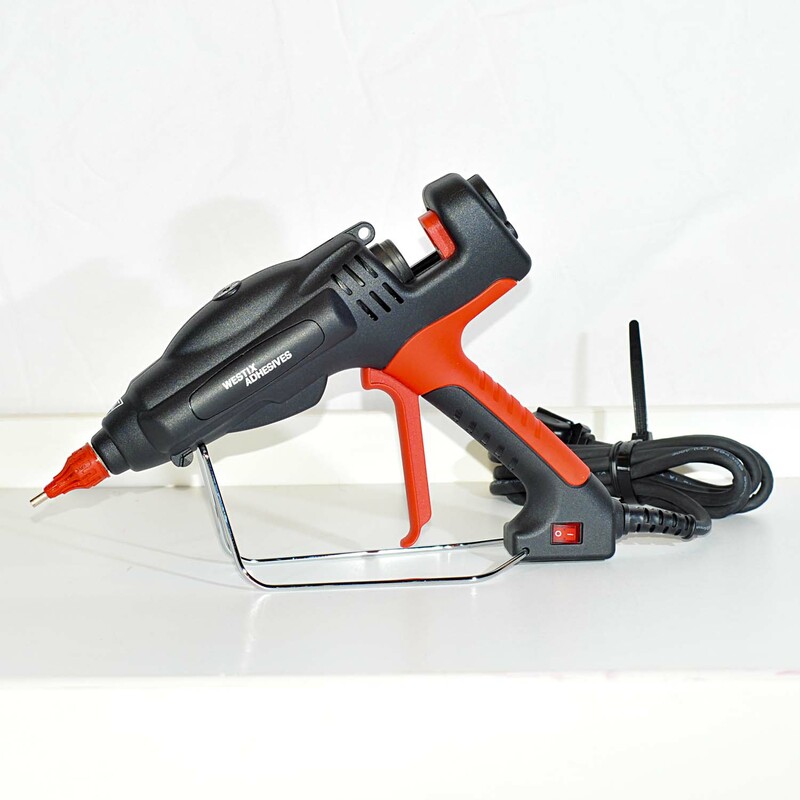 All glue guns operate on 120 volts.